This plant is from the Yunnan Province in China. 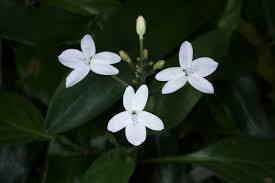 This shrub has heads of white, individual, scallop shell shaped flowers, delicately perfumed. Height to 2m. Width to 2m. Full sun to part shade. Protect from frost and keep moist in summer. Good for pots and shrubberies.